I am so excited to be posting on Simply Modern Mom today! I hope you’ll come say hello at A Room Somewhere when you have a chance later on. I have been blogging for more than five years now, and though I don’t often feature food on my own blog, I just have to share one of my favorite recipes with you! Not only will this quick bread make your house smell positively Autumnal, it will make your tummy and those little tummies around you very happy. I promise! Though I never have met my Great Aunt Lucille Rose, and she is now long since passed, every Fall, I sing her praises for this wonderful Pumpkin Bread recipe she once provided. All of the women in my family have taken this recipe as our own; we make it in large loaves, we make it in small loaves, we eat it smothered in cream cheese frosting, or just plain and warm. It is delicious and timeless and it equates with Fall in my mind (and my tummy)! I can’t wait to gift some bread this season with the beautiful bread wrapping tutorial below! Preheat oven to 350 degrees. Mix all ingredients. Pour into two greased bread pans. Bake for one hour. Beat cream cheese and vanilla until fluffy. Add sugar. Beat until smooth. 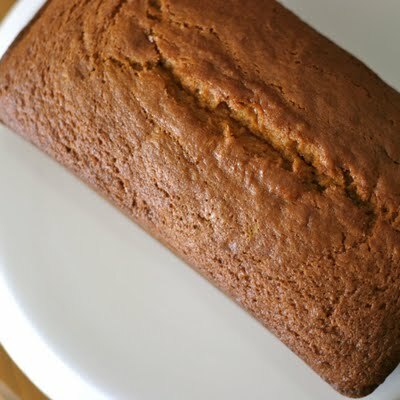 That pumpkin bread looks absolutely perfect! I tried a different recipe a couple weeks ago and it wasn’t very good. I will be trying this one soon.